Monomer Polymer & Dajac Labs has provided our customers with continuous improvement and top quality products and services for over 30 years. Monomer Polymer is committed to quality at every level of the business and sustains a rigorous, comprehensive, modern quality system that incorporates quality in design, risk assessment & management, and continuous improvement processes. The teams are talented and experienced with a high commitment to quality. We ensure quality at every step in the process with traceability of all documentation and materials used, equipment utilized and work performed, and our comprehensive Certificate of Analysis. MPD has a team of advanced scientific expertise and backgrounds bringing a wide range of knowledge and best practices to every project. MPD has a team of advanced scientific expertise and backgrounds bringing a wide range of knowledge and best practices to every project. It is this collective group and a collaborative culture that allows our team to provide solutions to the most challenging problems for our customers and the industries we serve. We have participated in numerous customer audits at each of our locations through the years and utilize findings from such audits to improve our internal processes. Our team’s expertise is leveraged across each business unit from catalog products, product development, and custom synthesis projects to execution. We provide comprehensive interdisciplinary solutions to a wide array of customer needs. A leadership team that encourages a collaborative, problem-solving culture that generates innovation on behalf of our customer needs. Comprehensive and rigorous improvement processes that involves all facets of each cross functional team implementing product design, process improvement and resolution of problems. 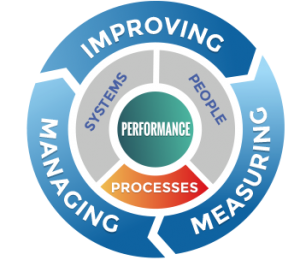 Active participation by management in the design, implementation, monitoring and improvement of the quality system processes as well as in project management and customer interface.